Welcome to Angle Theme, flat design from another angle. A multi-purpose, ultra-flexible, fully responsive HTML5 theme. 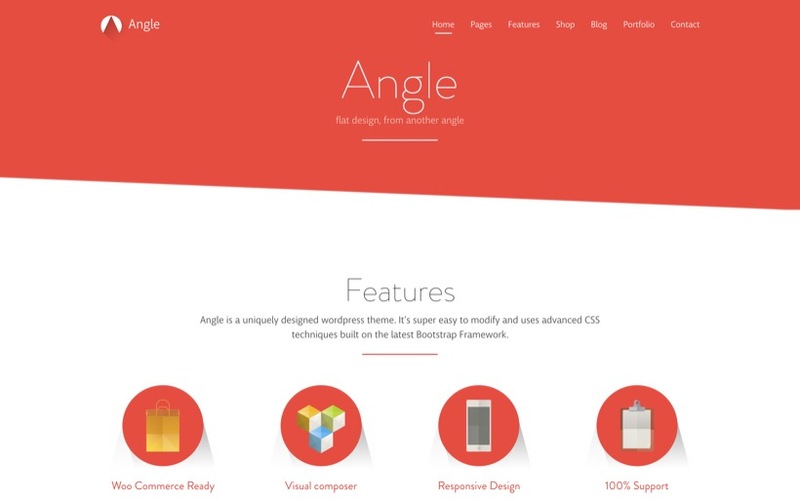 Angle is the Ultimate Boostrap Flat template with unique design that you can use to make any kind of web site. A carefully crafted theme with clean flexible modern design offers many features such as SVG Page Section Decorations, Isotope, unlimited color swatch combinations, a set of flat icons, font awesome icons, responsive typography and cross browser compatibility. PSDs are also included!